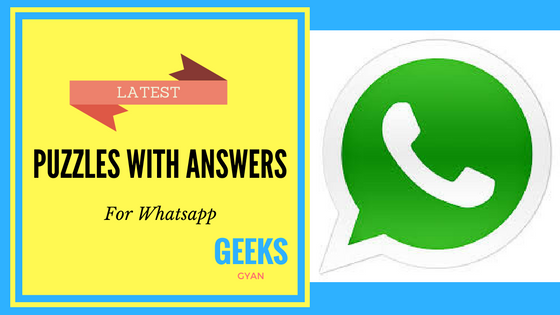 Hey folks, here you will get the latest collection of whatsapp puzzles and games,whatsappp games and whatsapp puzzles with answers.We have large collection of whatsapp puzzles with answers,whatsapp dare games and whatsapp quiz with answers. Sending Whatsapp puzzles and quizzes are very coolest way to have fun with your friends and to test their knowledge.Whatsapp puzzles, Quizzes for youngsters are complicated however answers can bring smiles to your faces and additionally make you sit up straight and think in many ways. Whatsapp smileys and emoticons play a major role in making the puzzle more tough and interesting. Each and every emotion of humans can be expressed through images and emoticons.Feelings like sad, crying, happy, proud, boast, etc can be easily expressed through Whatsapp emoticons in messages.Nowadays people create various puzzles like guess movie name, logical questions, maths puzzles, songs name, etc by using these smileys and emoticons and ask other users to answer.Below you will get latest collection of puzzles, WhatsApp games in which you have to decode the correct answer. Do share this latest collection of whatsapp puzzles, whatsapp quiz and whatsapp dare games with your friends, Whatsapp groups, etc. How to send below whatsapp puzzles with your friends ? First Download the Whatsapp puzzles images given below on your phone. 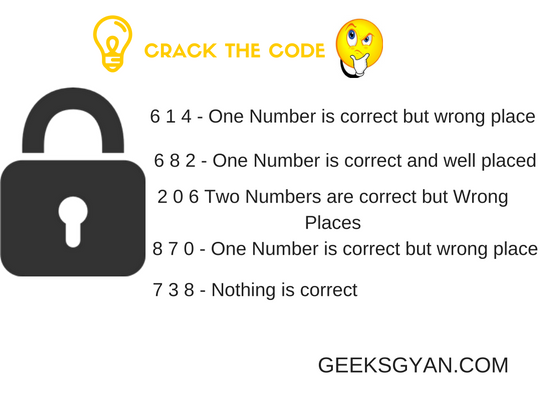 Now open your whatsapp and now send these puzzles given below to your friends, groups, etc and ask them to answer. 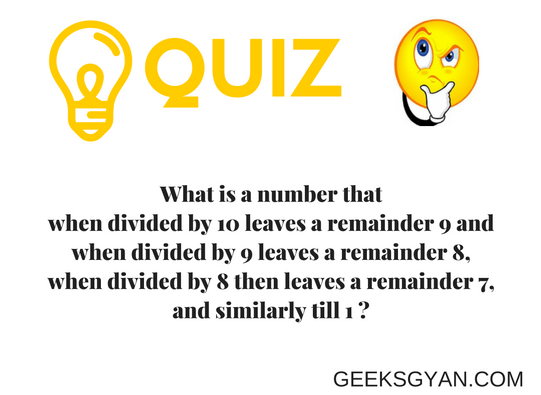 Later share the correct answer with them given below after every puzzle. 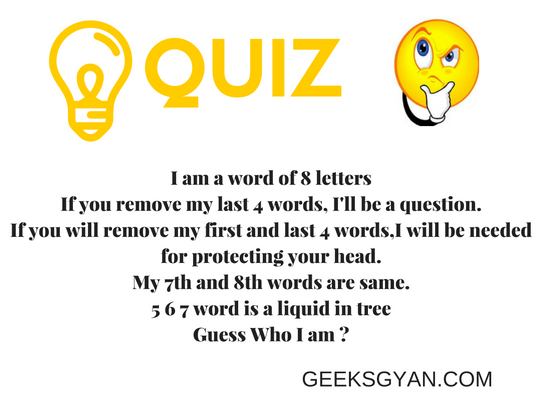 Whatsapp Puzzle Game Quiz 4: Guess What I am? If you remove my first letter, I will be a form of energy!!! If you remove my first 2 letters, I will be needed for living!!! If you remove my first 3 letter, I will be a preposition and near you!!! 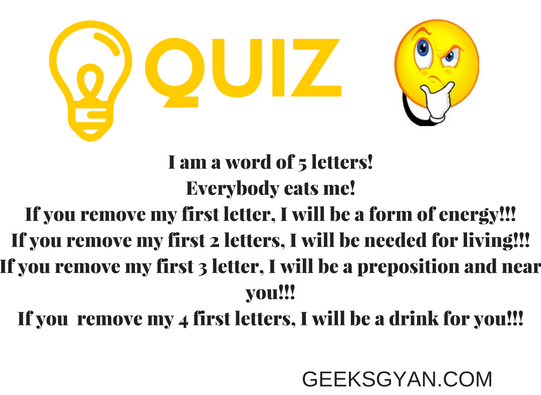 If you remove my 4 first letters, I will be a drink for you!!! Nowadays, Sending Movie Puzzle on whatsapp has become a new trend.Whatsapp movie puzzles are much interesting than any other puzzles because everyone watch movies. Whatsapp Puzzle Game Quiz : Guess Who I am ? If you remove my last 4 words, I'll be a question. T🐭🌽🍇n🍦 = "Movie" ka Naam ??? क्लास मधे एक नवीन मुलगा आला. सगळ्यांनी त्याला त्याचं नाव विचारलं , पण त्यानी कोणालाच त्याचं नाव सांगितलं नाही . जातांना बोर्ड वर तो फक्त एक तारीख लिहून गेला .